Sunshine Coast Shade Sails are in demand in Palmwoods and Chevallum. That’s because we offer shade sails that best our competitors for price, looks, functionality, service and environmental friendliness. Sunshine Coast Shade Sails are friendly Sunshine Coast locals just like you. Our business is not just locally based, but wholly family owned and managed. We understand the hinterland climate, lifestyle and shade needs. Contact us today for an obligation free measure and quote. In Montville and Hunchy on the Sunshine Coast hinterland, the elegant lines of Sunshine Coast Shade Sails can be seen on many properties. The sought-after scenic townships of Montville and Hunchy are so desired for their glorious weather, proximity to the beach, forests, parks, markets and all amenities, and the enviable hinterland lifestyle they offer. 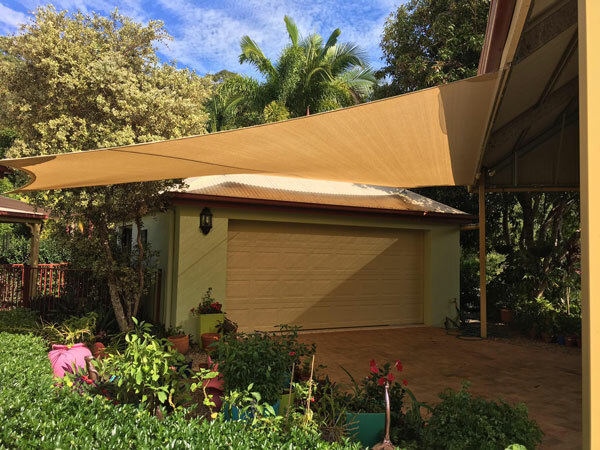 Make the most of your outdoors lifestyle in Montville and Hunchy with a Sunshine Coast Shade Sail. 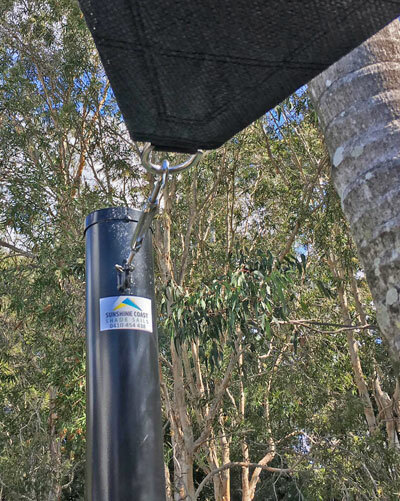 For several years now, the trusted team at Sunshine Coast Shade Sails have been helping the residents of the Sunshine Coast hinterland make the most of their outdoor fun. As everyone knows, this means being sun-safe and keeping cool. 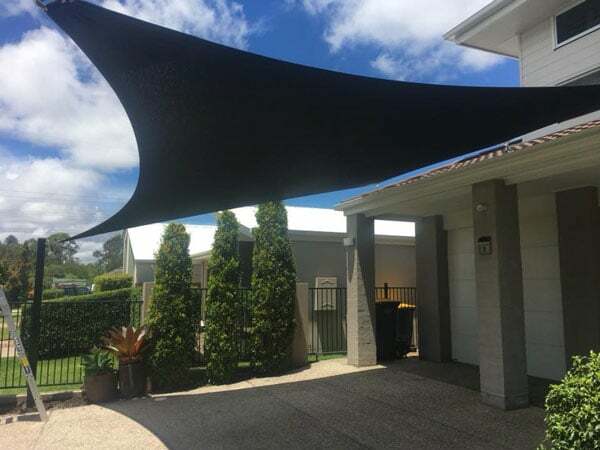 In Montville and Hunchy as well as Palmwoods and Chevallum, Sunshine Coast Shade Sails are your premier supplier of beautiful, durable, high-quality and safe shade sails. A Sunshine Coast Shade Sail is an investment for your home, business or community space in Palmwoods, Chevallum, Montville and Hunchy. They are environmentally friendly – our sails locally made. They are guaranteed for 10 years and maintained well may last even longer, making them a low carbon-footprint choice. Sunshine Coast Shade Sails will keep you and your family, friends, clients, customers and neighbours sun-safe and cool. They will also protect your car, pool and other possessions from the harsh heat and UV radiation of the Queensland sun. Sunshine Coast Shade Sails is proud to be part of your Sunshine Coast hinterland community in Palmwoods, Chevallum, Montville and Hunchy. We are part of your Sunshine Coast hinterland community and live the life here like you do. That’s how we know exactly how to meet your shade sail needs. 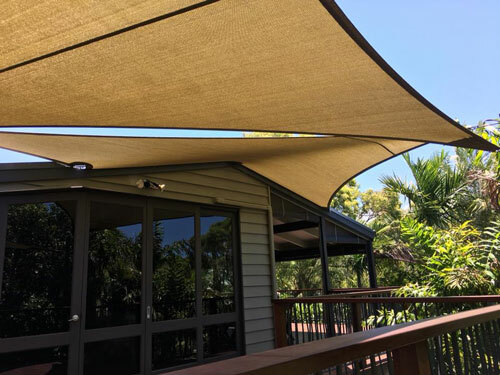 Contact us today for all your enquiries about shade sails in Palmwoods, Chevallum, Montville and Hunchy, and the greater Sunshine Coast hinterland region.